We provide a variety of fancily Embroidered cushions. Our embroideries are in sync with the latest trends in the market. 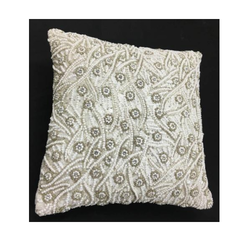 Cushion Embroidery solutions offered comprise custom designed cushion embroidery choices that match up to the tastes and aesthetics of contemporary homes. 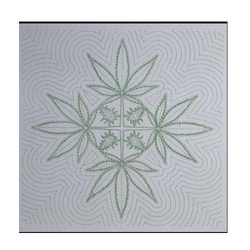 The exclusive embroidered finish provided make these suitable for use on beds or even on recliners placed in living rooms. Here, we can offer embroidery support in different thread color combination choices to pick from as well as a choice of base fabric. Further, the enchanting embroidery work delivered also makes these suitable for gifting purposes like in a wedding, anniversary or in other occasions. Cushion Embroidery Work solutions offered comprise enchanting finish based embroidery support for cushions of different sizes and shapes. Here, our expertise lies in making use of beautiful colors and designs to enhance the look and feel of embroidery work. 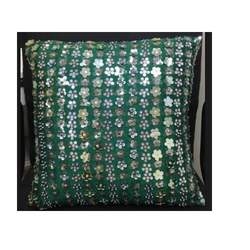 Being suitable for use in children or in grown up areas, the exclusive cushion embroidery work can be offered in choicest colors like green, purple floral, red floral as well as in multi color options. Further, our expertise also lies in also offering customized embroidery solutions on different size pillow covers. 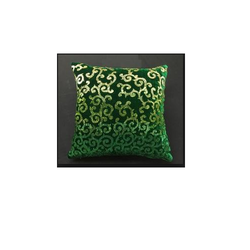 Expertise in offering enchanting finish based embroidery support for cushions of different sizes and shapes. Expertise in making use of beautiful colors and designs to enhance the look and feel of embroidery work. Suitable for use in children or in grown up areas, the exclusive cushion embroidery work can be offered in choicest colors like green, purple floral, red floral as well as in multi color options. Embroidery can be offered on different fabric choices as desired by customers. Expertise in also offering customized embroidery solutions on different size pillow covers. Embroidered cushion cover with designs and a contemporary look. Craftsmanship, vibrant color, and artisanal quality are behind its sheer stopping power. Looking for Cushion Embroidery ?